How To Connect Ethernet Cables To Xbox 360 Live And One? People who want to connect their Xbox 360 to their wireless network might be a little shocked that they have to shell out extra money for a unique wireless adapter. However, it would only cost them $30 to $4 using an Ethernet cord. At the same time, it will only take them a few minutes to complete this connection. One of the benefits of using Ethernet cables to connect their Xbox 360 is that they can utilize the Internet and other types of electronic devices with their game system at the same time. It also provides them with an enhanced gaming experience by interacting with other online gamers. A bridged connection involves linking a single connection into another. In this case, a person will be connecting their network to their Xbox 360 with an Ethernet cable. To start, they should assemble their devices and tools that include an Xbox 360, a PC that has a connection to the wireless home network and a typical Ethernet cable. It is very important to turn off the PC, Xbox 360 and the modem. 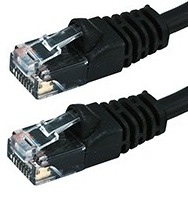 At the same time, they should connect their Xbox 360 to the PC with an Ethernet cable. When the connection has been secured, they should turn their modem or router and PC back on. After everything has been turned off, it is time to bridge the connection by opening the Network Connections Manager. A person should click Start and choose the Control Panel and open the Connections Network Tool if they are using Windows XP. If they are using Windows 7 or Vista, they should click the start button and key-in ncpa.cpl on the search bar and click the results. Now, choose the wireless connection and the Ethernet connection. This is done by either dragging them or holding the Ctrl button. They can then right click the selected connection. Windows will take a short time to process this command. The connection status on the system tray should show that it has two active connections when the mouse is hovered over the icon. Switch on the Xbox once the connection is complete. At the same time, the system will connect automatically to Xbox Live. If it is connected, a person can use the Xbox as they normally would. An Internet connection can be forwarded to the Xbox 360 utilizing an Ethernet cable. To start with, people should connect the Xbox 360 to the wireless PC with an Ethernet cable. They should see a green light connection near their PC Ethernet port. After this, they should open their Network Connections Manager. In Windows 7, they should key-in ncpa.cpl into the search bar and click on the result. If they are using XP, they should open the systemâ? ?s control panel and choose Network Connections. They should then right click on their wireless connection and choose properties. In this window, the Sharing tab should be chosen. Now, check the box that is found to allow other network users to link up through this PCâ? ?s internet connection. The box below it should be unchecked. Click OK in order to save the changes. In Windows XP, a person should select the Advanced Tab and choose the Sharing option. After doing this, they should turn on the Xbox 360. Navigate to the settings and choose Network Settings. Choose Edit Settings in order to open up the IP section. Always make sure that the Xbox is set to obtain its address automatically. Now choose Test Network Settings found on the Network Settings menu. A message will appear on the PC saying that a new connection was found, and their Xbox 360 should now be connected to Xbox Live and One. Michael Alvarez has been working in the electronics and technology field for over 20 years.Â He enjoys sharing his knowledge of ethernet cables with others; while continuing to grow his knowledge.